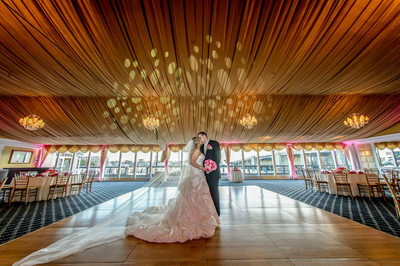 Bridgeview Yacht Club is one of the most picturesque spots for a wedding pictures on Long Island. 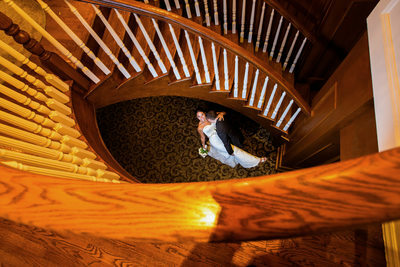 It’s elegant setting is the perfect place for any wedding, whether black tie and formal or intimate and relaxed. Online reviewers love the Bridgeview as well. 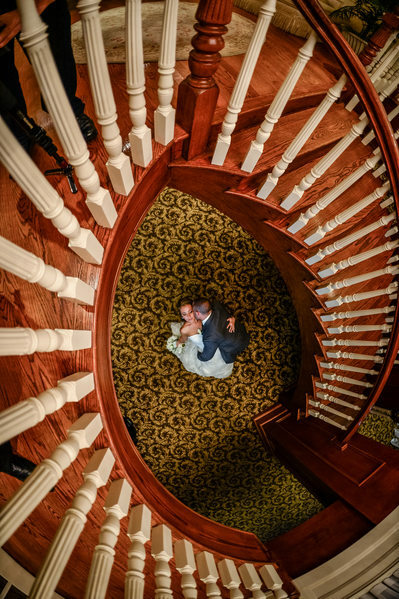 Couples rave about the beautiful setting and the ease of working with the Bridgeview team. 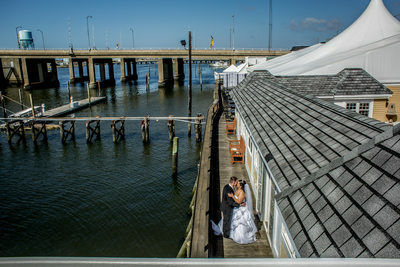 The venue offers scenic views out over the water from their private decks and piers. 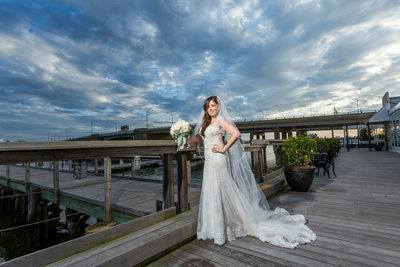 We love using their exclusive stretch of waterfront as a spot for taking the most amazing wedding portraits. 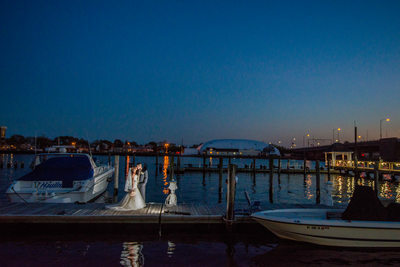 That could mean having an intimate first look on a pier away from everyone, or taking portraits along the marina with your whole wedding party, or getting the perfect shot as the sun sets over the water. 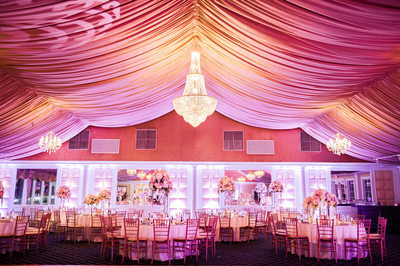 Inside, the space is just as elegant. 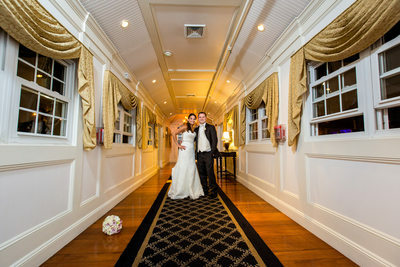 The Nantucket-style cocktail room welcomes guests as they arrive before opening up into a majestic ballroom. 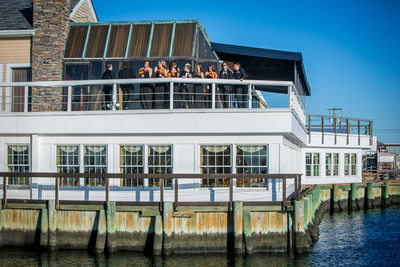 This area can seat up to 400 guests and comes with an entire wall of windows looking out over the water. 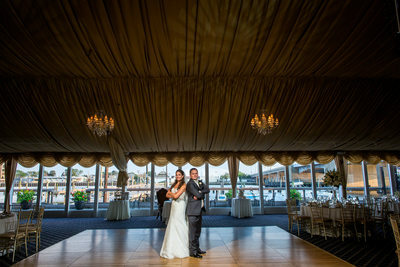 Or, if you prefer, the Bridgeview staff can provide a tented area for a reception outside. 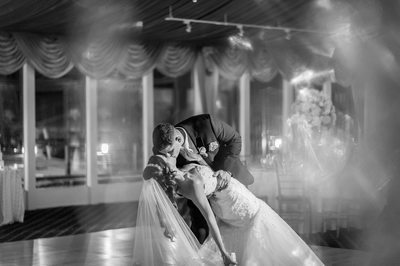 Best of all, the Bridgeview provides just about every service you need to plan your wedding. 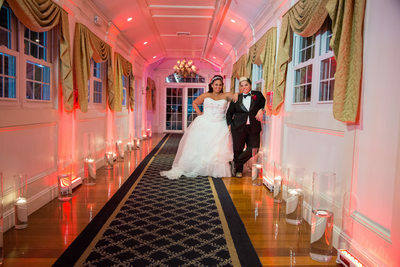 Their offerings include valet parking, a full liquor license, and gourmet catering, though if you prefer, you can hire an outside caterer instead. The space is wheelchair accessible and moderately priced for the area. 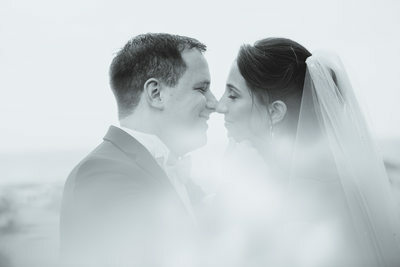 Bridgeview is a truly beautiful wedding spot, and we have loved every event we have photographed there. Between a scenic setting and exceptional service, we’re sure you’ll love it too. 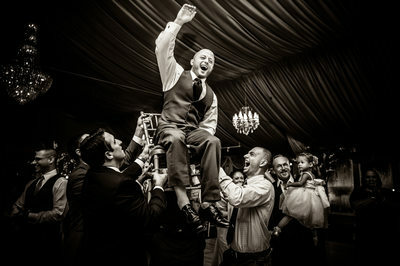 Bridgeview is a fantastic Long Island venue.